Font-tastic Fun on a Friday! So here's the thing.. I know a girl's not supposed to play favorites, but I kind of do. 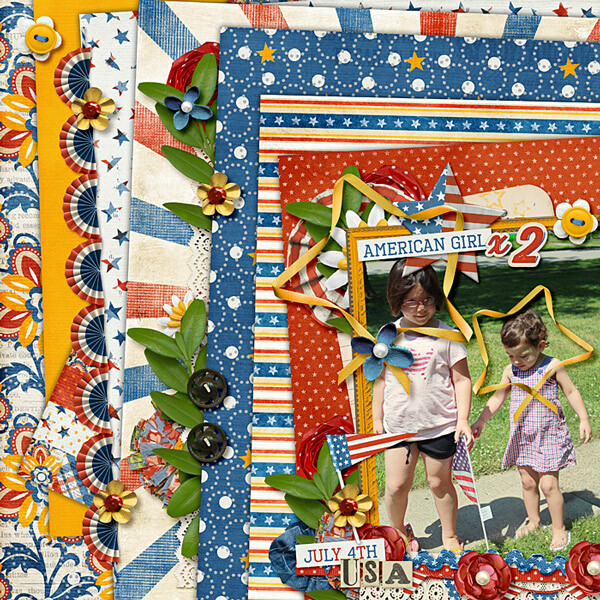 For as long as I've been scrapping, I've always LOVED 4th of July kits! I don't know why it is - I'm generally not a bright/bold/primary colors kind of girl, and although it is THE FAMILY HOLIDAY EVENT for my in-laws and extended family (consisting of several days of family traditions, gatherings and parties), I don't have oodles and oodles of photos to scrap. But I can pick out an FOJ kit a mile away and will have my heart set on owning it before you can even say firecracker! So, I am SUPER excited to be releasing this fun new collab today! 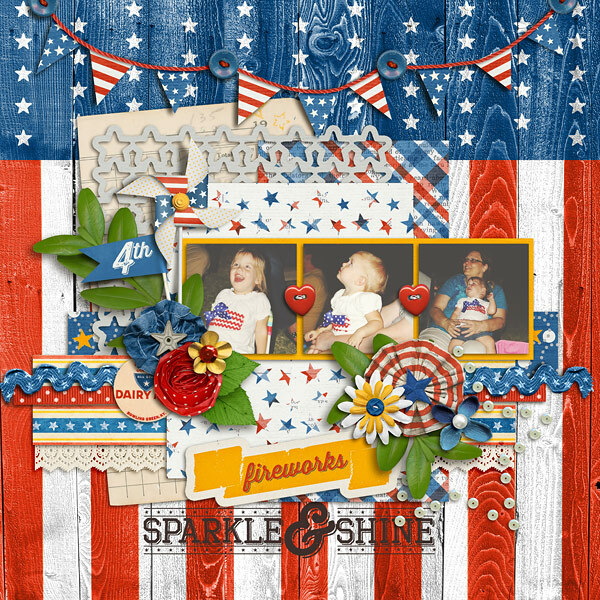 I paired up with Mommyish, and speaking of firecrackers, she is a hoot! I've had so much fun working with her, and we're both absolutely in LOVE with the results - I hope you are, too! 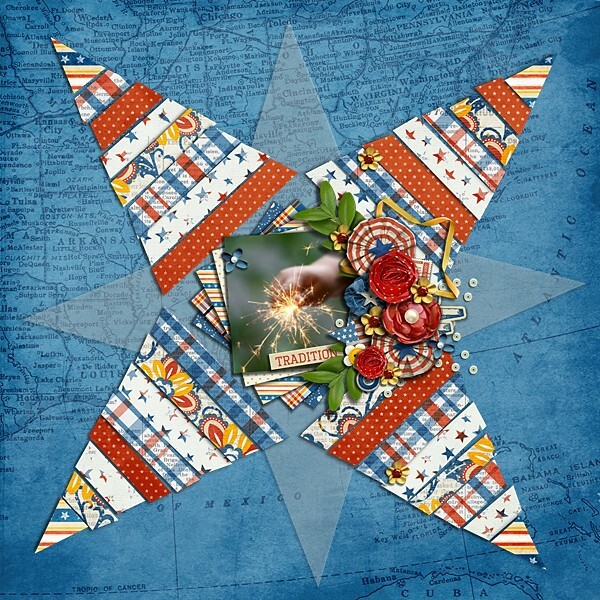 We've got your Independence Day covered - from stars & stripes, to fireworks & barbeque, and everything in between. Sweet Liberty is brimming with vintage pieces and an eclectic collection of ellies. 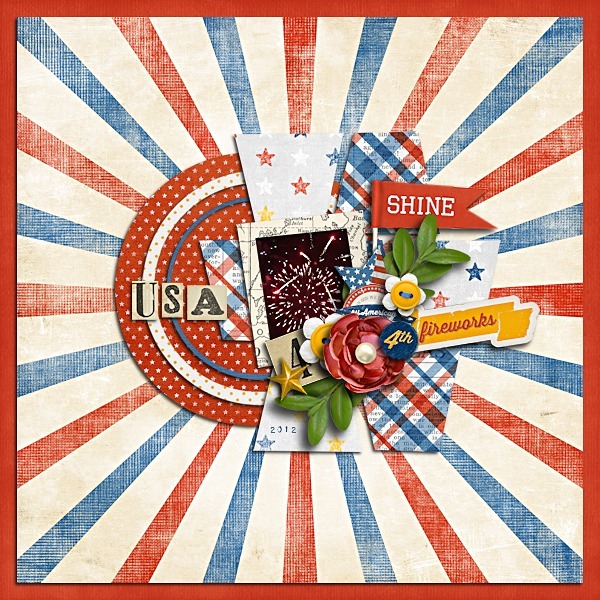 The bright vintage feel just invites you to jump right in and join the fun! And look, I even joined in on the fun! Have a wonderful weekend, and hopefully you can fit some scrapping in! As for me, I'll be gearing up for a huge July 4th event at my "real job" which will have me hopping for about 12-18 hours a day up until the 4th, but then it's family time at the parade, BBQs, playing with the cousins, setting off fireworks and who knows what else! 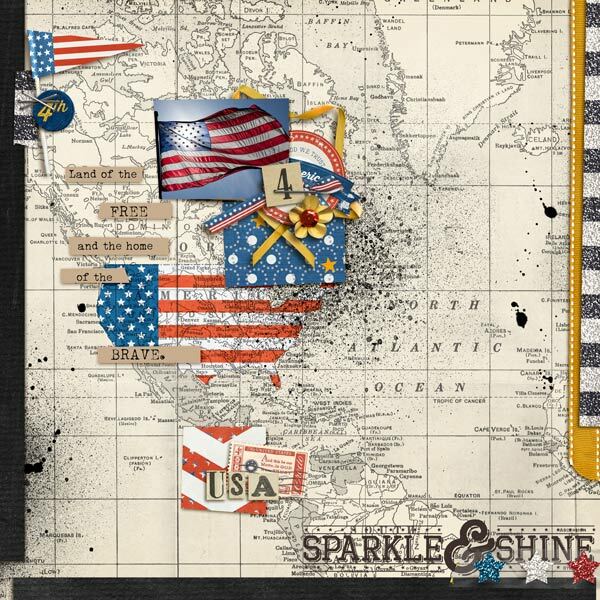 BBQ's, fireworks, parades, and backyard parties are things I think of with the 4th of July. I of course have tons of pictures to scrap from these fun events. 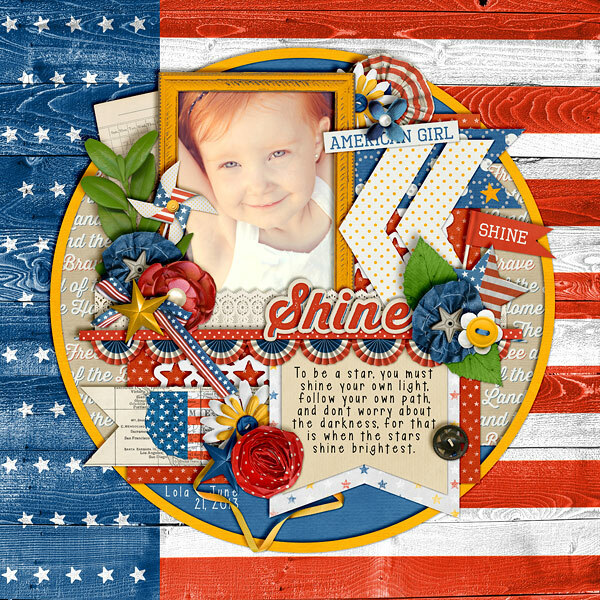 Amber has a great collab kit out this week that will help you (and me!) scrap all those moments. 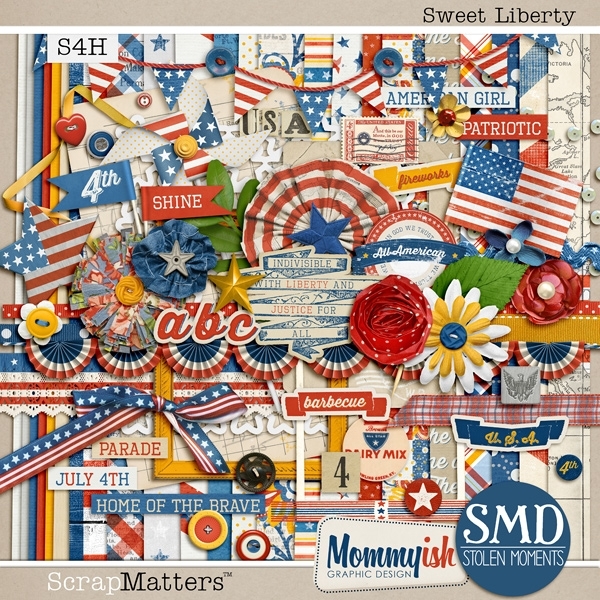 Head over to this thread at ScrapMatters where you can enter for a chance to win this kit for your very own Here is just a little taste of what is in it! My name is Britanee Walker (britaneejean throughout digiland). 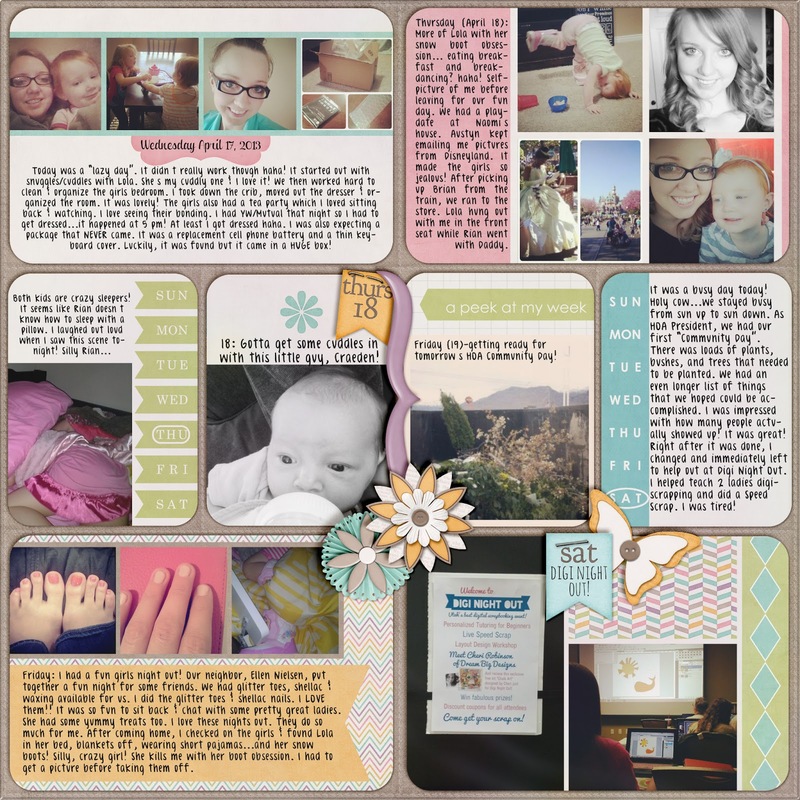 I'm a 26 yr old SAHM to 2 little girls who are the reasons behind why I scrapbook. 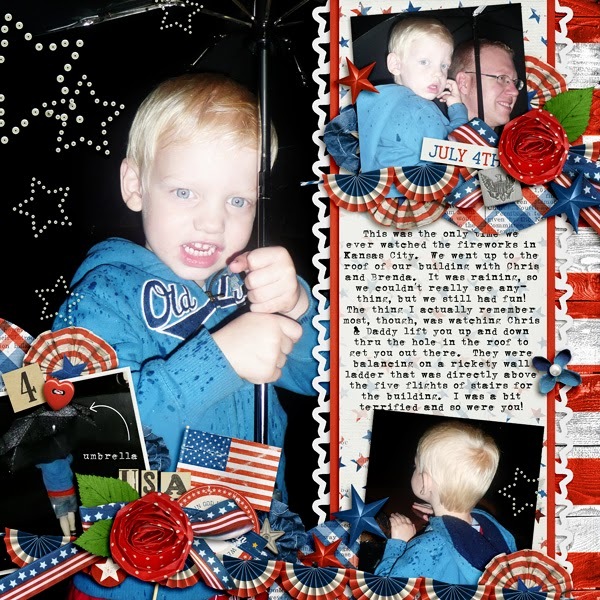 I've been scrapbooking since I was a little girl. 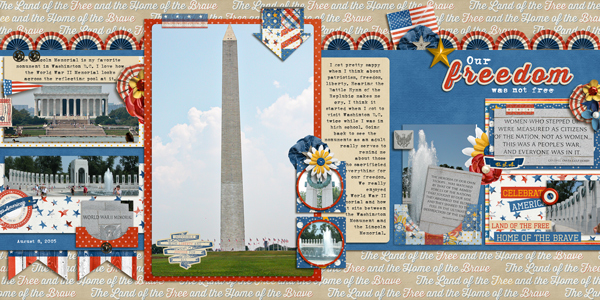 I discovered digital scrapbooking in January 2009. 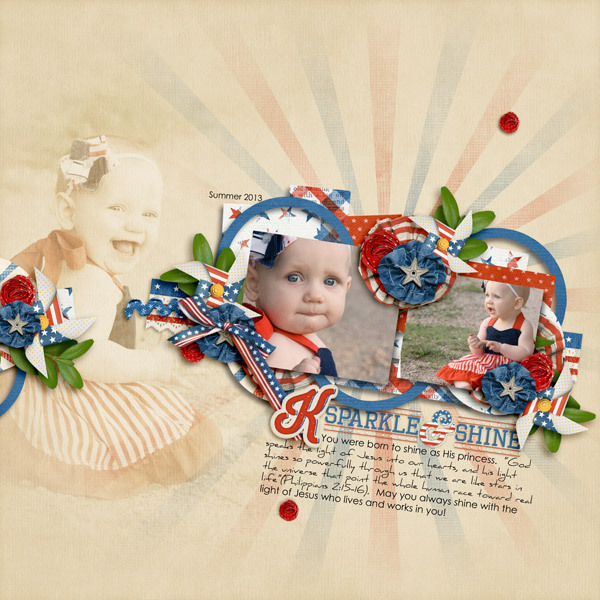 Digi-scrapping is my relaxation, therapy & creative outlet. How long have you been scrapping? Have you ever paper scrapped? When did you make the switch to digi and why? I 've been paper scrapping since I was a little kid. My mom's an excellent paper scrapper but I never acquired that skill. I discovered "digi scrapping" with a program in 2006 but only did it off and on. A friend then convinced me to try PSE, which I did in January 2009. I've never looked back. I LOVE the fact that there's no mess for my kids to get into, I'm not wasting supplies and ctrl+z (I'm BFF's with that one lol). What do you feel is your strongest scrapping skill? Your weakest? I honestly don't know. I have to use a template for every page. It's rare for me not to since I don't have as much time as I wish I did. I do try to go beyond the template though and make it my own. I love to journal. I know many people hate journaling but that's one of my favorite parts. I always over journal lol! What advice would you give someone just starting out digi-scrapping? Don't give up! I help out at a friend's event ever other month and that's the main thing I keep saying when trying to teach someone. Don't give up and keep practicing! It's taken me 3-4 years to get where I am today. I think a lot of people think it's all going to click into place immediately and it doesn't. Describe your scrapping "system"... What program do you use? 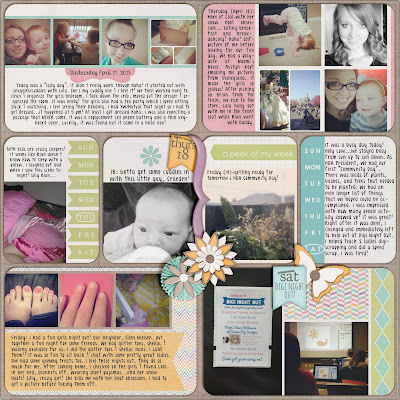 Where do you start first - photos, papers, elements, journaling? Do you always have something in mind when you start, or do you let your creativity guide you? How long does it take you to complete a layout? I currently use PS CS5. 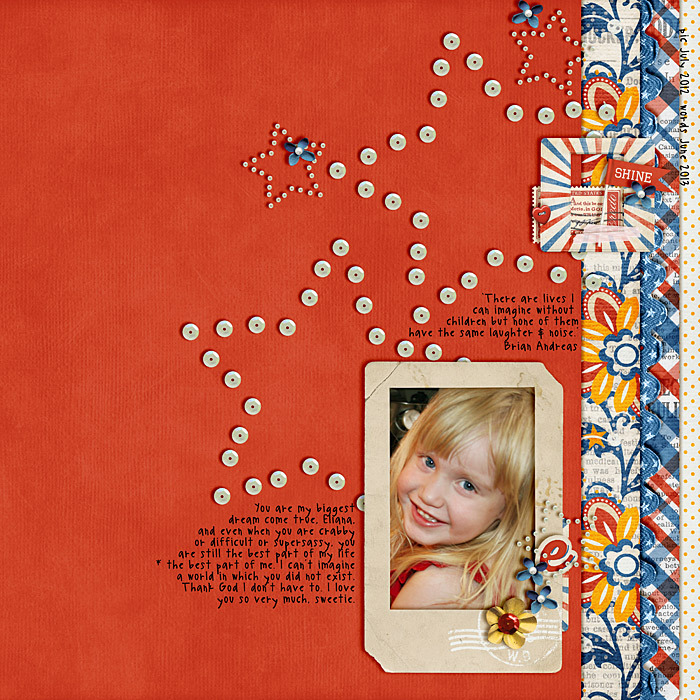 My "system" is different if I'm scrapping for my designers or for myself but no matter what, I place my pictures last. I have them in mind though while scrapping. I pick my template out at the beginning then go from the bottom/back to the top/front. Papers are placed first, then elements, title, picture, & journaling. Depending on mojo (and kids behaviors lol), I can complete a LO anywhere from 30 minutes to 2 hours. 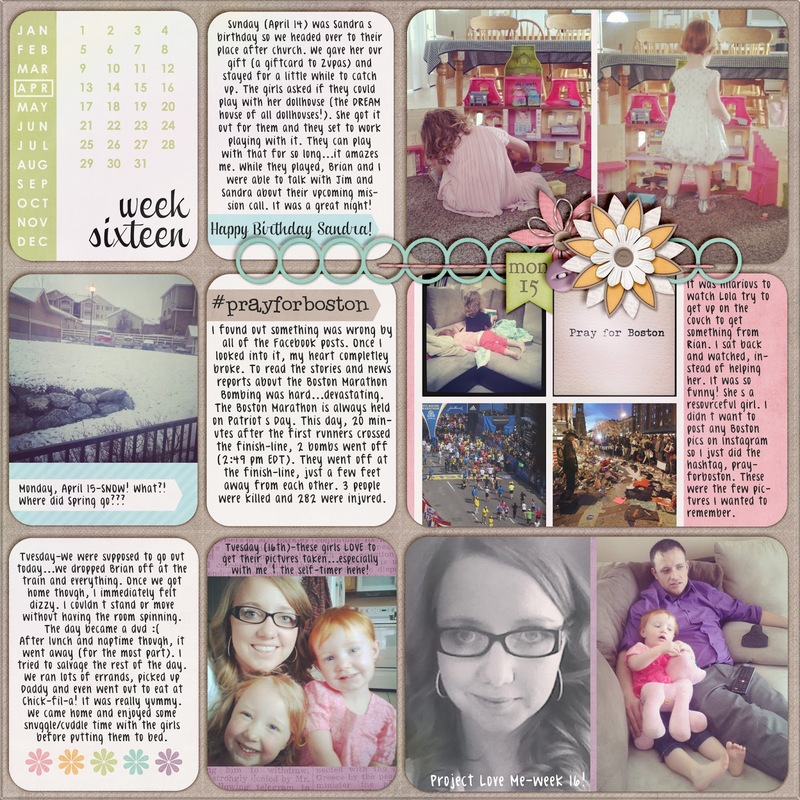 My weekly instagram layouts take me about 3 hours. On average, how much time do you spend scrapping each week? I aim for at least 1 LO/day. It doesn't always work out, but that's about 7-10 hours/week. Describe your perfect scrapping environment - coffee? soda? music? snacks? I love to have an ice cold water or fountain diet coke with me. I love snacks but am trying to be better about having those around my laptop. Music distracts me, though I like having a show on in the background. It's usually something my husband's watching. What's your favorite thing to do BESIDES scrapping? Playing with my kids and taking pictures. We've been packing as much fun as possible into our summer and the biggest thing we've done is hang out at the pool every day. We all love it. I also LOVE to read. My kindle paperwhite is my constant companion. What is one thing you would love to do, just so you could scrap it? Disneyland! or camping. I actually hate to camp but the camping kits are so cute to me that I might just do it so I can use those cute kits. Disneyland is a given though! We've never been as a family and my kids are dieing to go. 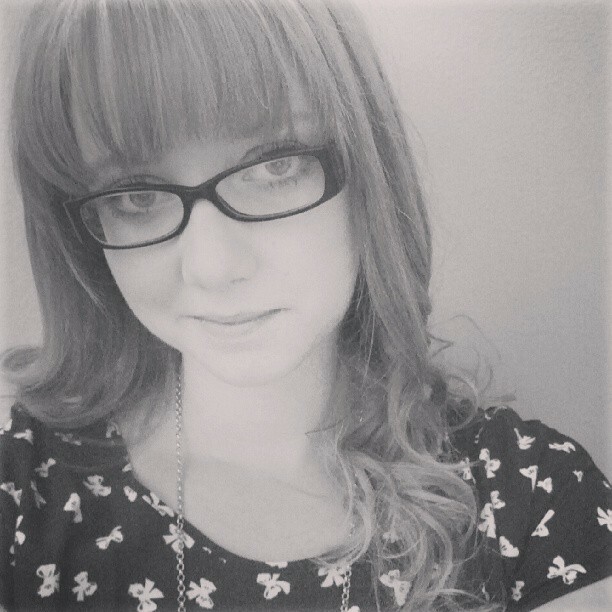 Who inspires you in the scrapping community? Any person or site in particular that you look to for inspiration? I love Pinterest. it's become my go-to for inspiration. iI have many friends in the community who inspire me all the time. I love their styles. I can't name them all or we'd run out of room lol! If you could have Amber create a kit just for you, what colors, theme, etc would it be and why? Oh man...a fun summer kit! That's only because it's summer right now though. Maybe she wants to make a camping kit? 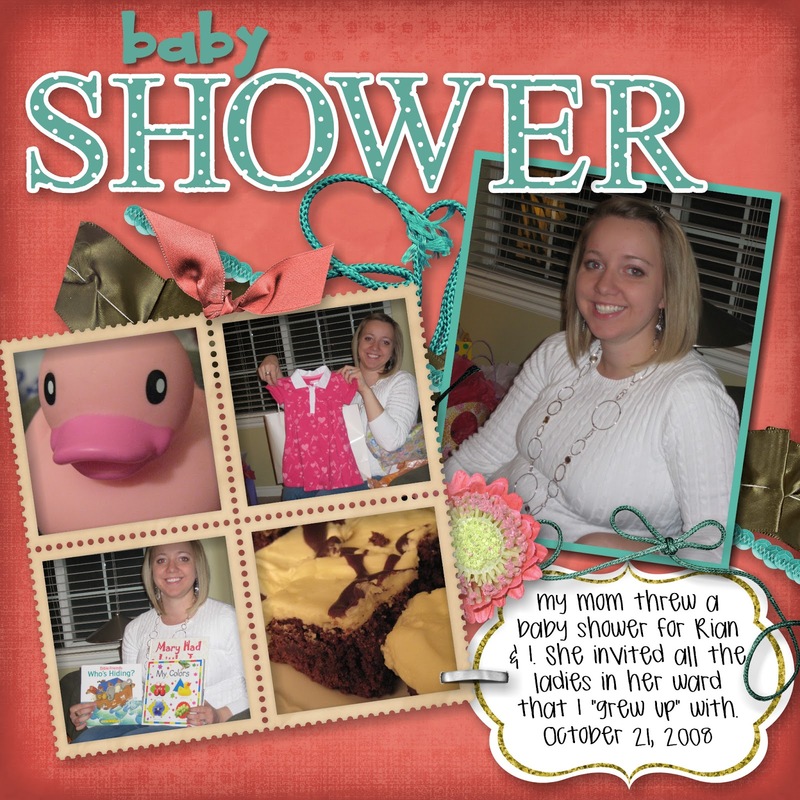 (wink, wink) I LOVE all girly kits so another one like her Happily Ever Afters kit/bundle would be awesome! Also, any daily moments kit would be great. I can't have enough of those. I'm definitely a clusterer. I love to cluster and I think that's because I can and it doesn't weigh down the actual page. I couldn't ever do that on a paper layout. I love to use lots of paper too. I would love to art journal but I haven't had much time to give it a go. Depending on the feel of the layout, I also like minimalist pages. 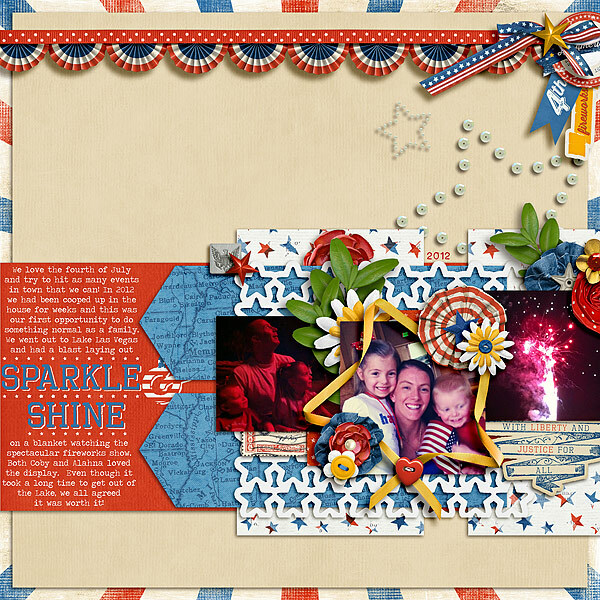 Now lets check out a few of Britanee's layouts! Baby shower...one of the first ones I did. Scary! This was before I knew about drop shadows. I made this back in the VERY beginning and I can't believe I'm showing it to you! 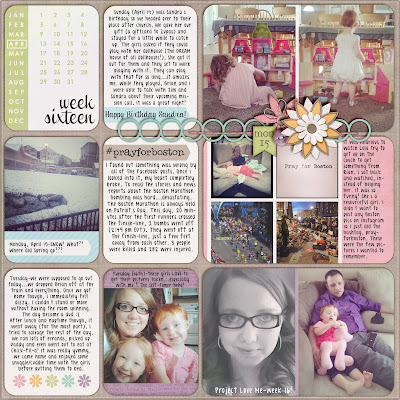 My favorites lately are my weekly "project life" layouts for my instagram pictures! They take a while for me to do but I love every single page. Hugs. I LOVE capturing my girls relationship with each other. I always place my picture on my page after it's 90% done (right before journaling, title & finish shadow work). I had just taken this picture this weekend & thought it'd be perfect. Mother's day. I've loved this kit since it was first released. I finally got it but then couldn't find time to play. I scrapped this page during a convention and the only regret I have is that I didn't use it sooner. This was a different way for me to scrap my mother's day that year. I could spend all day looking at Britanee's amazing layouts. 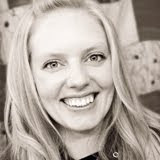 To see more of her inspiring work, be sure and pop over to her GALLERY and stay a while! Anyway, it's time for another installation of font fun! I hope you enjoyed last month's dive into the font pool. I've uncovered a few more this month that I'd love to share. A great font to use for titles is ChunkFive. Not only is the name of it fun, the chunky letters work wonderfully for titles or short words that you can enlarge on journal cards! This next font is similar to ChunkFive, but the letters have a "humorous" look, if letters can look funny. 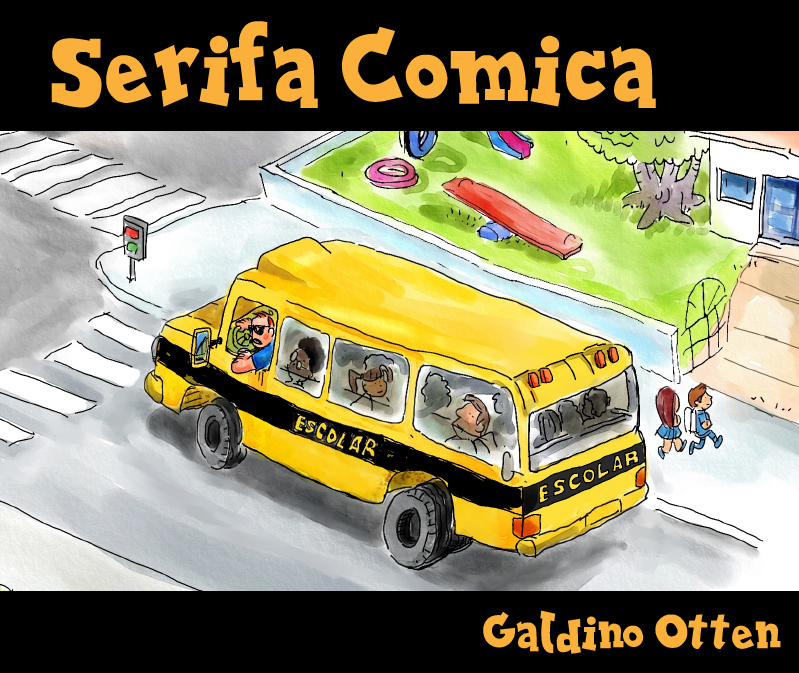 :) Take a look at Serifa Comica! Another fun font you can use for titles is Risque! Luckily the font isn't as risque as the name implies! For handwritten fonts, I picked up a cool new one this week - PW 01 Script. Not such an interesting name for a font, but I love the way it looks! 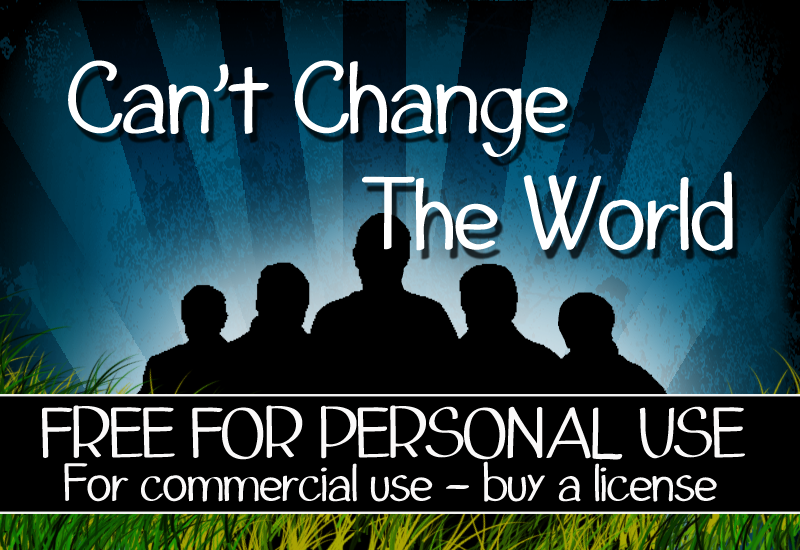 Or how about this super easy-to-read handwritten font called Can't Change the World? It reminds me of how carefully I tried to write my letters in grade school. If you want something in-between a script and a printed handwritten font, Jinky just might fill the bill! Now fonts can be used for more than just journaling or titles. When you use a decorative font, you can use them to make some very unique elements for your pages. For instance, check out Symbol Signs. You can use these to create a piece of flair, enlarge them for a journal card, or even use the male or female signs as a big element. I thought Runeicity Decorative would be great for use in creating your own background paper. Just type up a bunch of the characters, space them out, enlarge them a little, and you have a creative background! Or, for those of you who are headed to one of the Disney theme parks, you can even make your own Mickey paper or journaling cards using this dingbat font - Mickey M TFB! Remember, fonts are fun! Use them for journaling or titles - or use a decorative font just to make your page your own! I Etsy ... Do you Etsy? Jill here, and I have been known to spend hours engrossed in looking at the millions of super cool things on Etsy ... and with our first grand-baby coming in August, I have, once again, become fanatic about searching for baby girl things. Today I'd like to share with you some of my most recent favorite finds. How cool is this idea when having an outdoor gathering? Treasureagain has a very cool shop on Etsy! 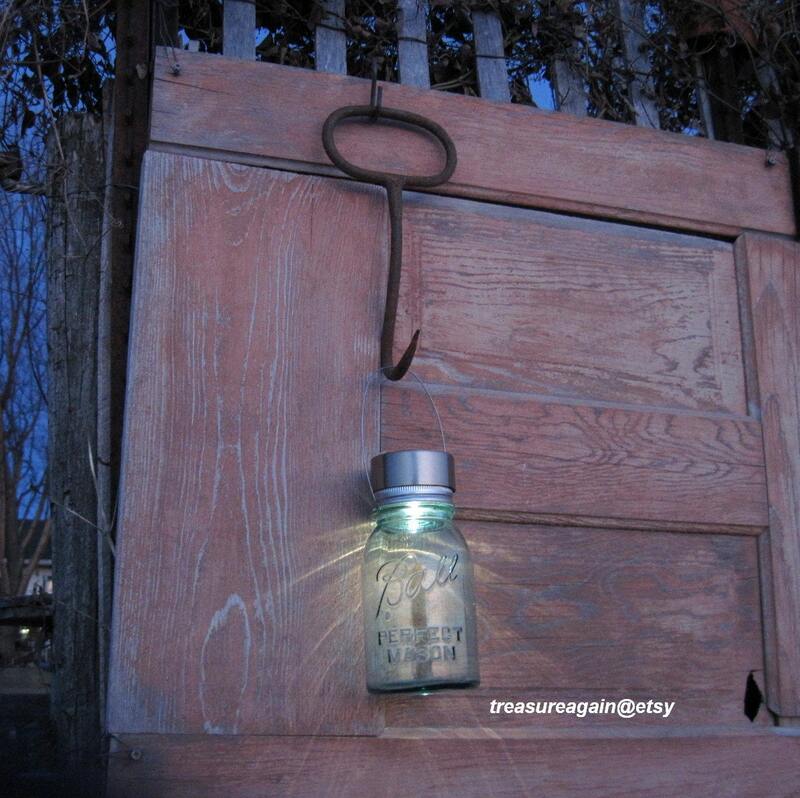 Who knew all of those Mason Jars we have stored away in our cellar could be put to such cool uses? Speaking of outdoor entertaining, I love this apron from CoolAprons! 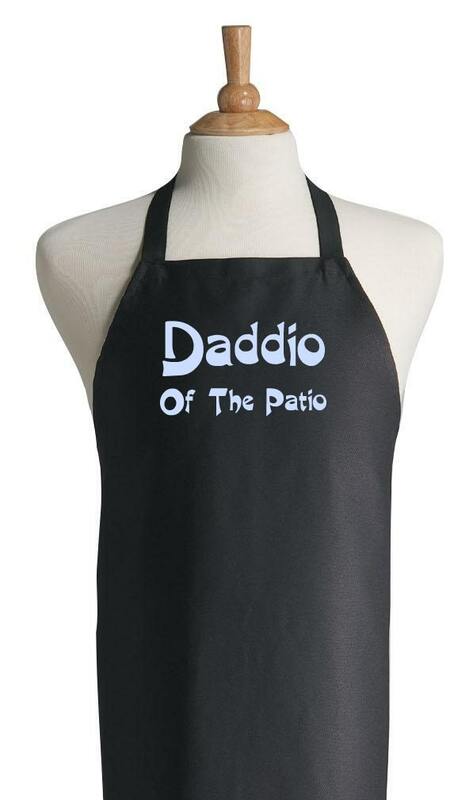 This may be a very appropriate gift for our son (a chef) next year for Father's Day! 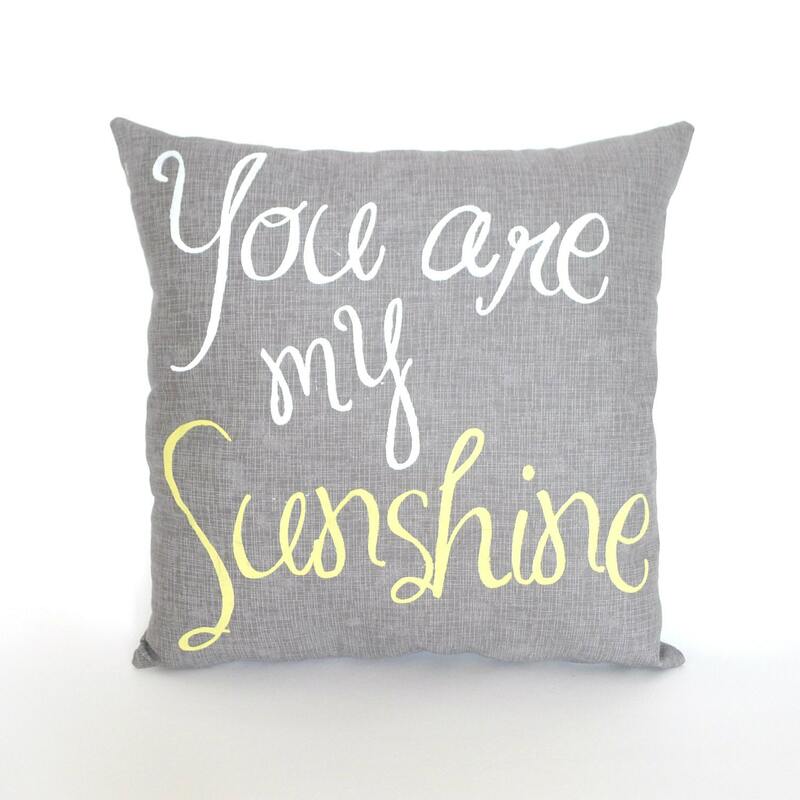 The theme for the upcoming baby shower I'm helping host is "You are my Sunshine", so this pillow from Katie Scarlet Co. totally caught my eye. 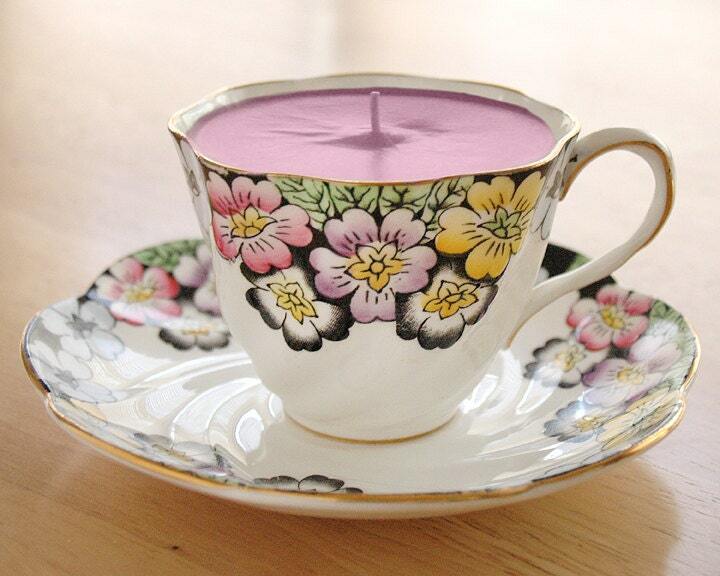 I saw a beautiful tea cup and saucer set at a local flea market a few weeks ago, but wondered what I would have done with it had I bought it ... now I know! I love this idea from pinkfence! Can a kitchen really have too many bowls? There is definitely no shortage of them in our home! A few years ago my mother-in-law gave us a pink Pyrex pie plate and from there the search was on to find a set of pretty pink bowls to match. 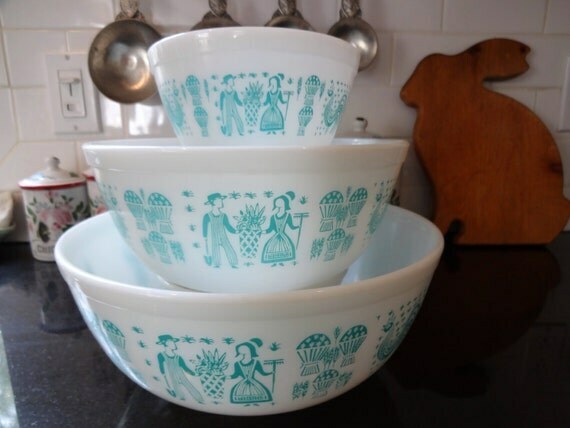 We found them and have been searching for other cool vintage pieces ever since - thus the reason I love these from RowlandParkVintage. 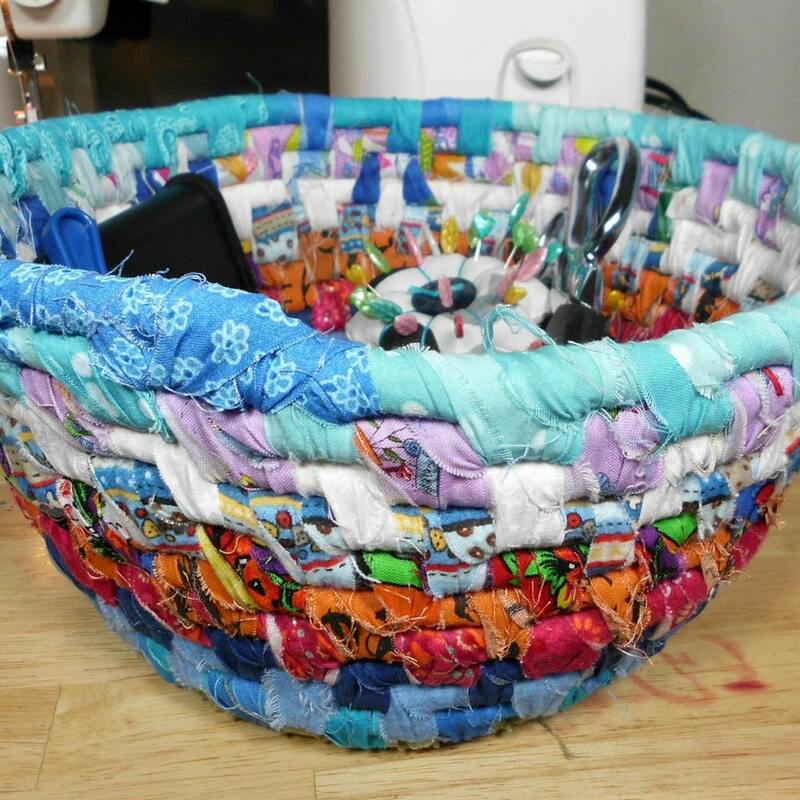 I just recently revamped my crafting-closet and now I could totally finish it off with cut little baskets like this one created by mamacateyes! 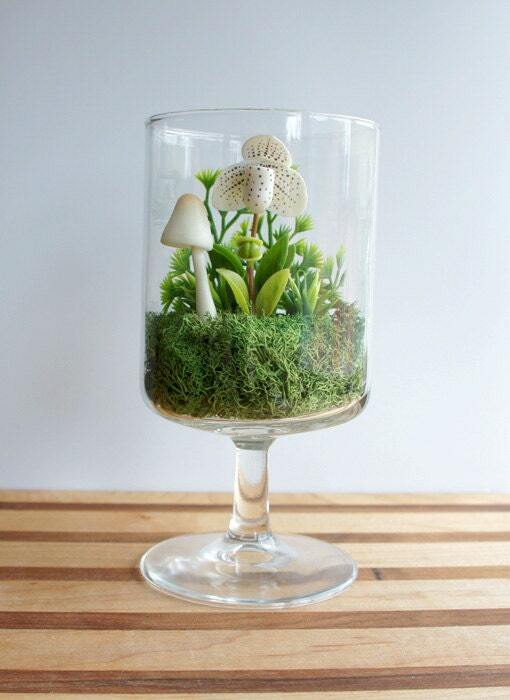 Seeing this terrarium created by Miss Moss Gifts brought back lots of great memories for me! I had one in my room that my mom had made for me for my 14th birthday! I loved it!! In fact, I may have to put making one on my "to do" list! And on that note, I think I'll go add the above idea to my list and call it a day! I hope you've enjoyed this little journey through the wonderful shops of Etsy!